We have a great range of cheap wedding invitations to matching reception stationery for the wedding table. Our personalised wedding table-cards are a lovely way of letting your guests know that you have thought of them on your wedding day. 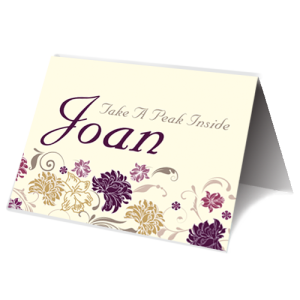 Weddingcardsdirect offer a simple flat card or a tented card with the guests name printed on it in a variety of coordinating designs to match your wedding invitations. 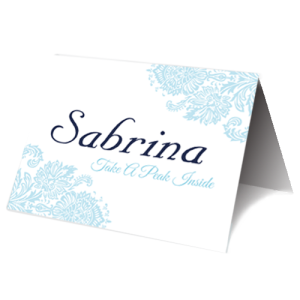 All our place cards can be personalised to match your wedding invitation and reflect your personality and wedding theme. We do not sell place card holders but there are a good selection of vendors online selling table-cards holders for wedding reception table. Table place cards are a great way to let guests know where they are seated plus it also avoids confusion and delays for guests taking their seat. It’s tricky enough to plan out the seating arrangements for your wedding guests trying to seat friends and family together and it’s probably likely that a few strangers will end up at a table not knowing anyone else at the table. To help the conversation along amongst strangers at the reception tables weddingcardsdirect have a few ideas for doubling up the use of a place card as an icebreaker. 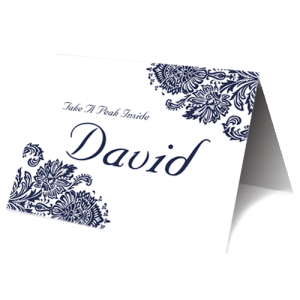 How about using our wedding place cards to place bets on the length of the wedding speech or the best man speech verses the length of the grooms speech or just simply sharing some funny anecdotes about the two of you can simply nudge guests to chat and get to know each other. 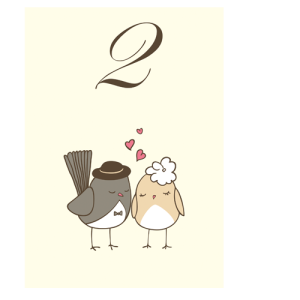 Use your table numbers as an opportunity to share more details about you as a couple, perhaps how you met, fun facts about you as a couple, trivia questions about you both. 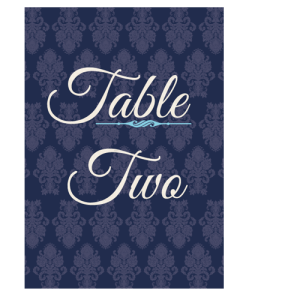 table-cards are a great way to show your creative and fun side with wedding tables. Table names and themes are coming back into vogue again. Not all your guests will know both of you as a couple really well. 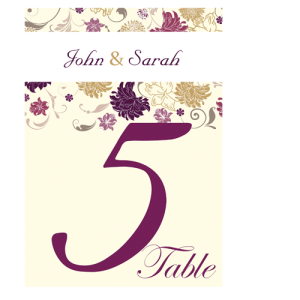 Table names are a great way to tell your story, perhaps it could be naming your tables with your favourite holiday destinations or how about your favourite music and concerts. Get your thinking caps on and making those wedding table-cards stand out from all other weddings and get your guests mingling.